free play by turning adjusting nut. f When connecting accelerator wire, be careful not to twist or scratch its inner wire. a. Put a "CAUTION. INFLAMMABLE" sign in workshop. 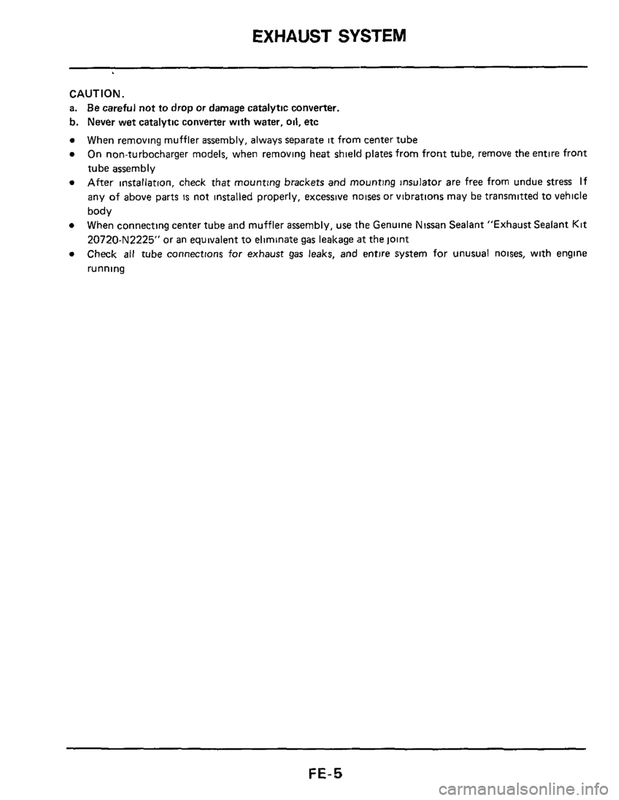 d Put drained fuel in an explosion-proof container and put lid on securely. 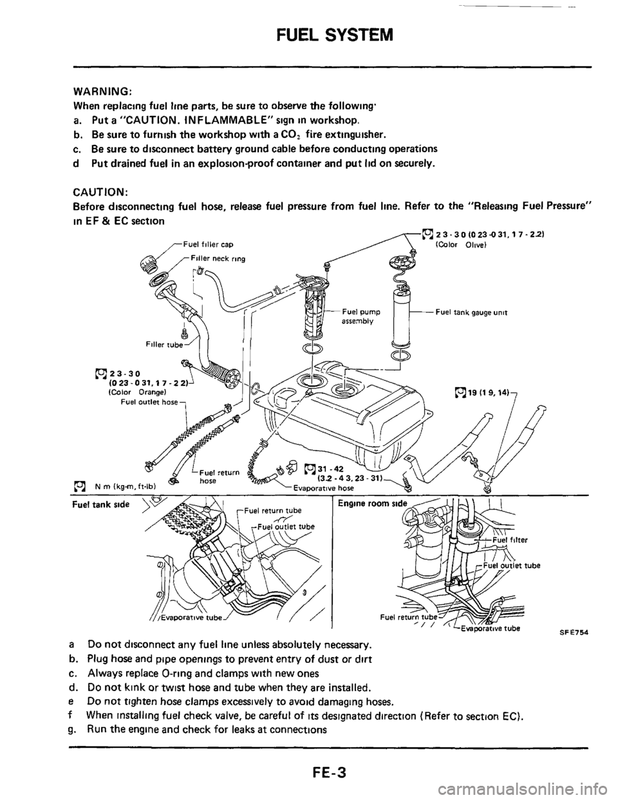 Before disconnecting fuel hose, release fuel pressure from fuel he. 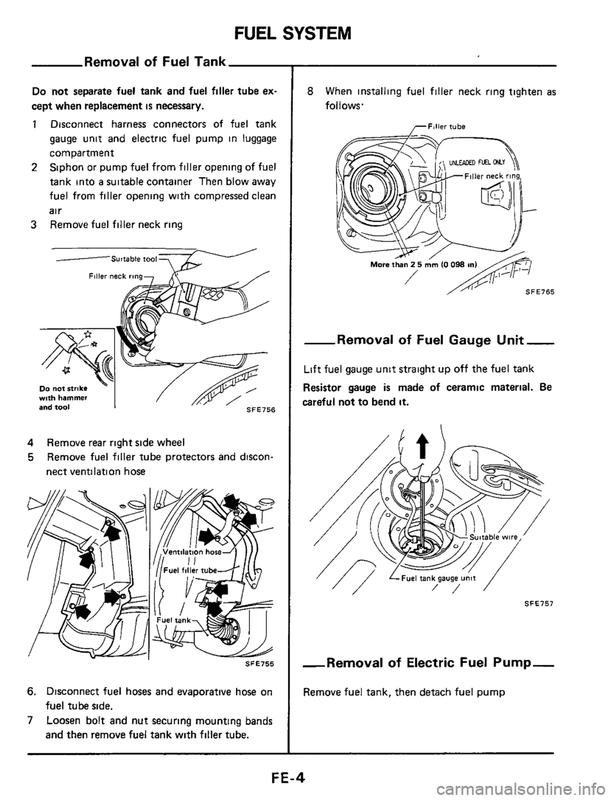 Refer to the "Releasing Fuel Pressure"
a Do not disconnect any fuel line unless absolutely necessary. 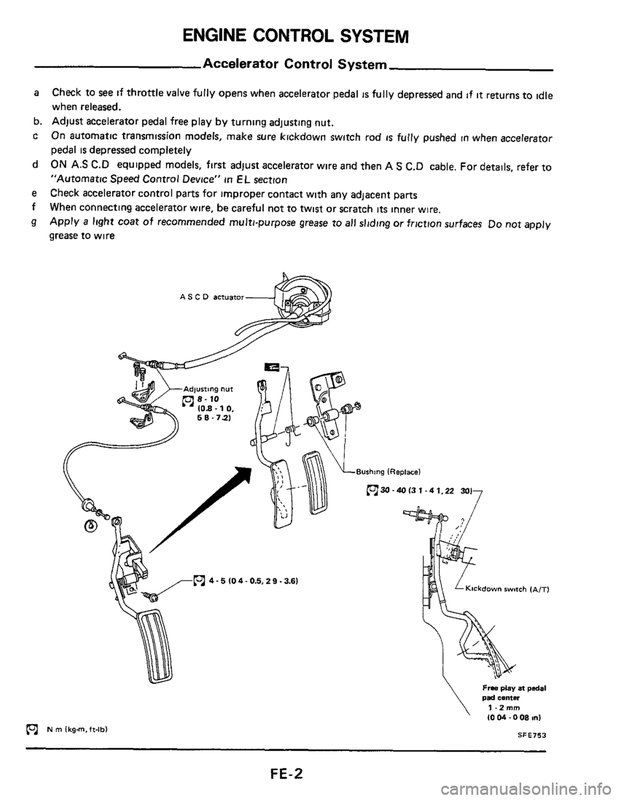 e Do not tighten hose clamps excessively to avoid damaging hoses. 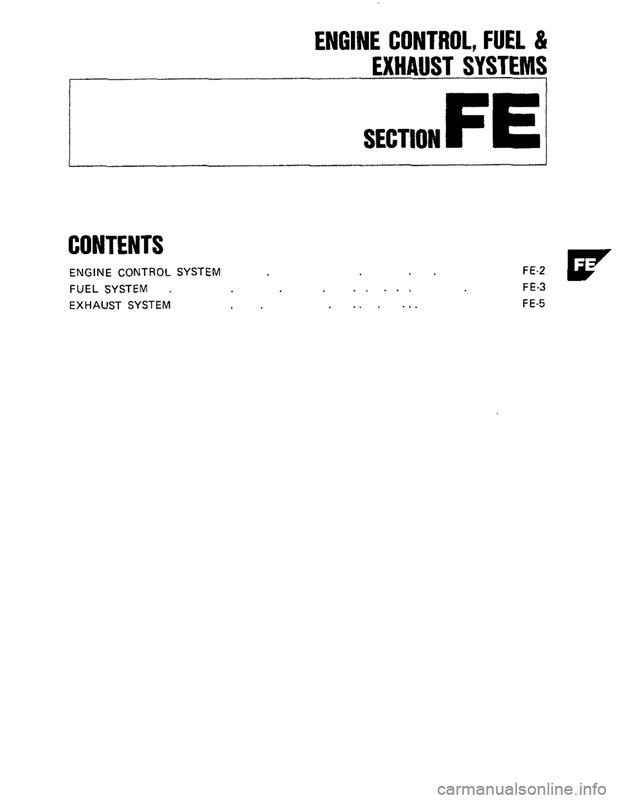 f When installing fuel check valve, be careful of its designated direction (Refer to section EC). cept when replacement is necessary. and then remove fuel tank with filler tube. careful not to bend it. 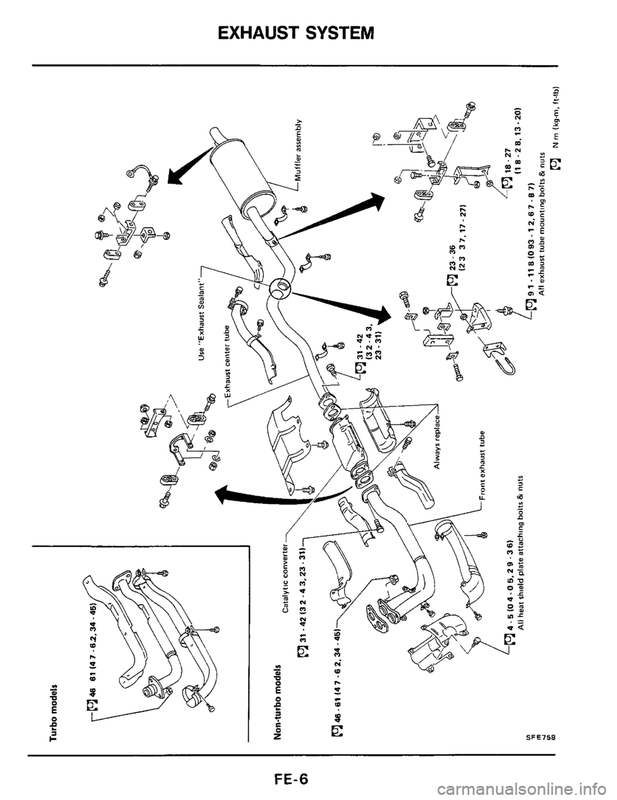 Be careful not to drop or damage catalytic converter.